Our preferred online casino partner Dunder has some amazing news. 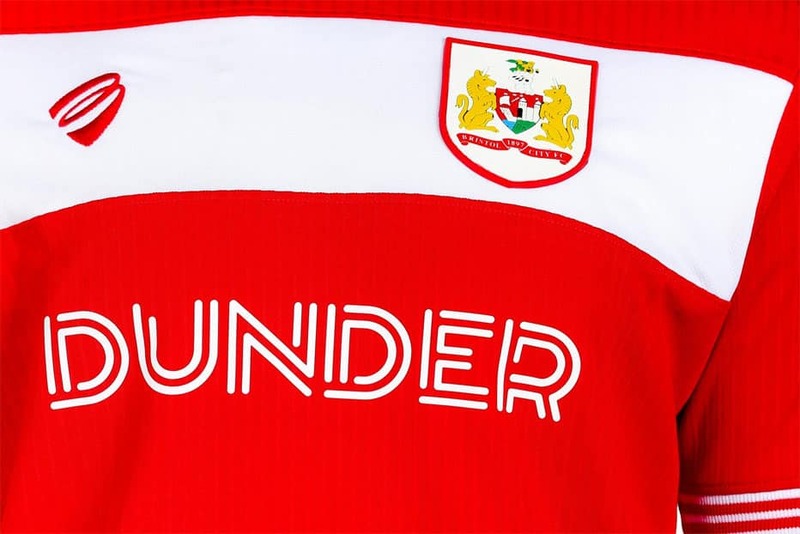 From this football season Dunder Casino the new main shirt sponsor of Bristol City Football Club. 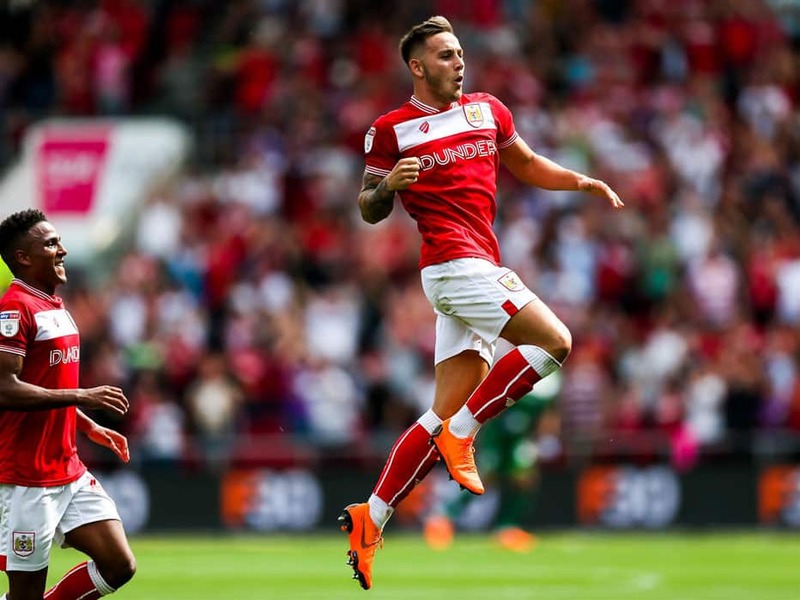 During the 2018/ 2019 football season Bristol City FC plays their games in the EFL Championship. Dunder are the newest principal partner of the football club and this is a great step forward financially for both club and Dunder. 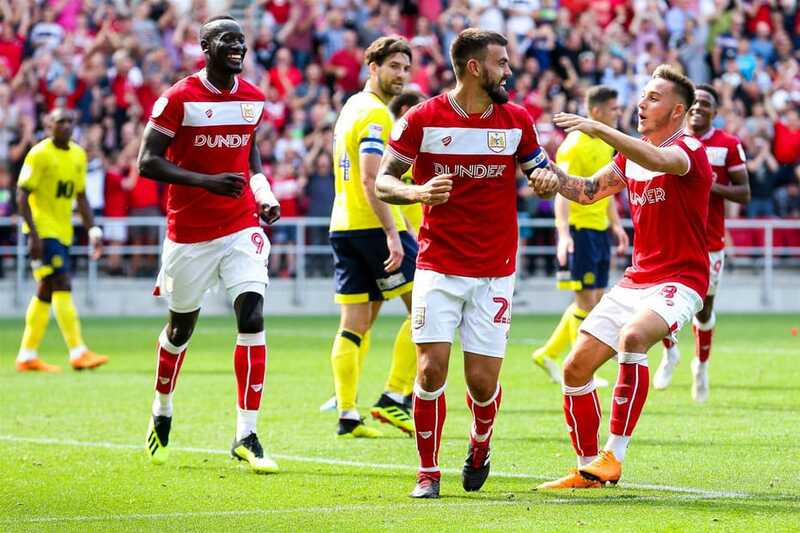 bristol City wants to continue their growth after a succesfull campaign last season. The club finished 11th in the EFL Championship during the 2017/2018 season. Bristol City also had an amazing run in the EFL league Cup. The team lost 3-2 against in the Semi finals against Manchester City. In the fifth round they beat Manchester United. With Dunder Casino on board and with their new financial injection bristol City FC wants to fight for the play off positions this season. They want to try and reach the play offs for promotion to the mighty premier league. Dunder Casino focuses on online casino games and at the moment they don’t offer sports betting on their website. You would expect a sports betting company to sponsor football clubs but the owners of Dunder think different. Both Dunder and Bristol City give high value to responsible gambling and investing in the local community. With this deal both parties try to activily invest more money in local activities. And of course both parties want to bring responsible gambling and online casino games under the attention of football lovers. After Bristol City and Dunder casino signed the sponsor deal they made a video announcement. Why would a Malta based company runned by 2 Swedish guys invest in a local football club in the UK? Dunder Casino is runned from Malta but it also has an office in the UK. They run their marketing activities from a nice office in Newcastle. And their main focus geos are the UK and the Scandics. English football and the EFL Championship is broadcasted live in Scandinavian countries. So it is interesting for the company to built up a partnership in an area where a lot of people live and work. Dunder Casino was launched in 2016 with the idea to open a player friendly casino. A casino without a shady website, impossible terms and conditions and slow payouts. Dunder Casino is runned by people who love to play casino games. And they wanted to launch a casino where they want to play at themselves. They managed to achieve this because Dunder is now a beautiful casino with over 600 casino games. The casino has a desktop website and it also has a player friendly mobile app with the best casino games. Player friendliness and user experience are the most important things the team behind Dunder Casino focuses on. Above and below you see the Dunder logo on the home kit of Bristol City FC. We made this picture during the game against Blackburn Rovers. Bristol City FC won this game with 4-1. After the game the man of the match received his prize from Dunder representative Adam Webber. An amazing start of the 2018/2019 season. When you have a look at our website and in our casino top 10 you see that Dunder is listed. We love the news that Dunder Casino is the new shirt sponsor of Bristol City because we highly recommend the casino to our visitors. The casino is reliable and they offer an amazing user experience. With this sponsor deal Dunder sets a good step to nationwide attention for their casino. We support this and we hope a lot of online casino players move to Dunder Casino for reliable and responsible online gambling activities. It is better to play at good casino websites like Dunder then playing at unreliable shady websites. 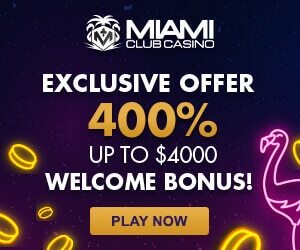 Dunder Welcome bonus for new casino players – 50 Free Spins on sign up! Dunder Casino is not only the new principal partner and shirt sponsor of Bristol City. The casino is also one of our preferred casino partners. Since 2016 we have a close connection with the team behind the casino. We love to write news and interesting content about this casino. On our website you find all the latest news about the casino. And we also add all new bonuses and promotions to our list of casino bonuses. We recommend Dunder Casino to new online casino players because the casino gives high value to an amazing user experience. And we arranged an amazing Dunder Casino welcome bonus for new players. If you never played at this casino before you can now try it. You can try the casino with 50 free spins on registration. This means you receive 50 free spins on a popular slot game when you register a free account. With the 50 free spins you can try a slot game and win real money. It is actually a free chance to try Dunder Casino and win some money. Registration at Dunder Casino free for new players. Keep notice that you can only collect this bonus once. You are not allowed to register multiple accounts. After you used the 50 free spins you can collect another interesting Dunder Bonus. The casino triples your first real money deposit. When you decide to deposit €25 you receive €50 free from the casino. After you made a €25 deposit you have €75 in your casino balance. And you also receive 180 extra free spins on Starburst video slot. After you made a minimum deposit of €20 you receive 20 free spins a day for 9 consecutive days in a row. Another free chance to win some money at Dunder Casino. As with every deal there are positive and negative reactions. Bristol City’s current sponsor Lancer Scott agreed to step down. This allowed the club to agree a deal with Dunder Casino. When you sign a deal with a casino or a sports betting partner you can expect reactions from supporters and people who have an opinion about gambling. A football Club is connected to the local community and gambling can feel as a negative signal to this community. After both parties announced the new shirt sponsor deal the first reactions from supporters and other people came in on social media. @WHM1984: Disappointed that @bcfctweets went with a online casino as it’s sponsor, there is way to much of this in professional sports already!! Will not be buying this years shirt because of it!! @colinexpress: @bcfctweets now sposored by an online casino company. Do those running Bristol City know the cost of everything but the value of nothing? @MikeTziorta: DUNDER. 臘‍♂️. Questionable decisions by Mr Lansdown at times can’t lie. Swedish online casino company that’s been running for two years that nobody has ever heard of. Hope they’ve paid over the odds to get their name out in the UK cus there’s certainly no benefit to city. @Shaun75Bris: People moaning about a gaming shirt sponsor. Who cares . Bet they wouldn’t care if we won the SKY BET championship.